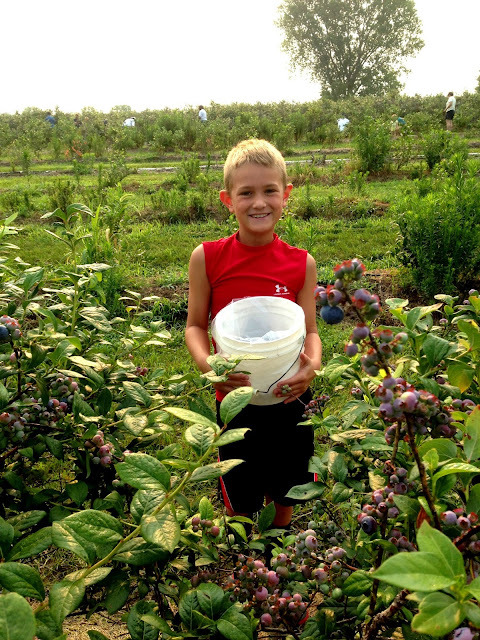 We have found a great patch, The Berry Patch, for all you KC locals. They always have the sweetest berries and it's a fun experience for the kids. The patch was absolutely packed and they get picked out often, so plan ahead! This is a fun yearly tradition for us. 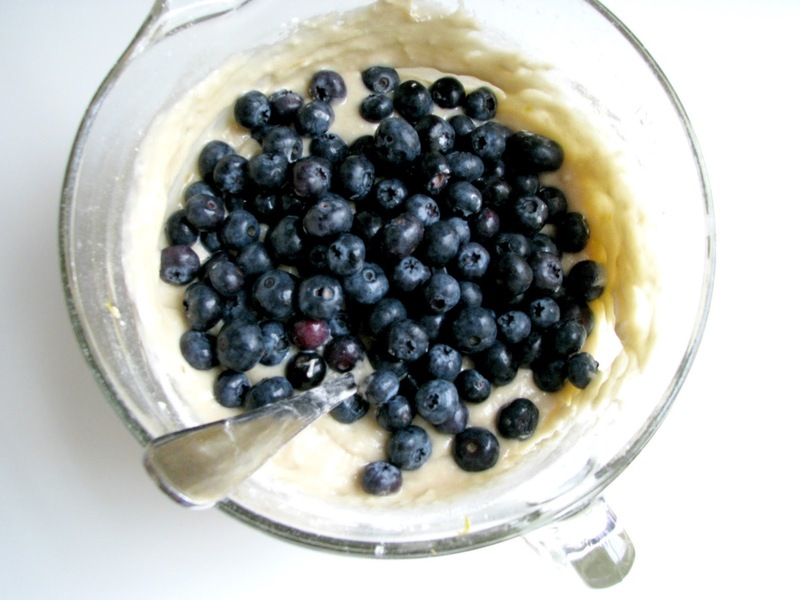 The ingredients in this recipe are ones you probably already have in your pantry, with the addition of lemons and blueberries. Hard to beat the taste and beauty of fresh-picked! 1-Preheat oven to 425*. Line muffin tin or spray with non-stick spray. 2-Combine lemon zest and white and brown sugars in a medium sized bowl. Incorporate. 3-Add butter and oil to sugars and beat. Then add eggs and vanilla and combine. I used an electric hand mixer. 4-In a separate bowl, combine flour, baking powder, baking soda, and salt. Add the flour mixture and the milk a little at a time to the wet ingredients. Start with the flour and end with the flour. Fold in the blueberries carefully. 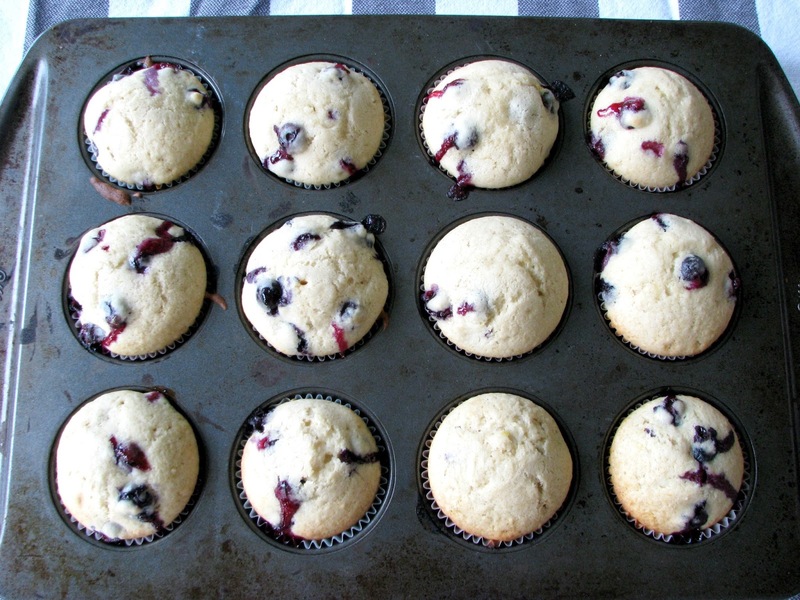 5-Spoon the batter into muffin cups and fill almost to the top. 6-Bake for 15-17 minutes. Mine took 16 minutes to become slightly golden brown and cooked through in the middle. I would start watching them around 13 minutes. 7-Allow muffins to cool. Make glaze by combining all ingredients and whisk until smooth. 8-Turn the cooled muffin upside down and dip into the glaze. We ate these with breakfast burritos for dinner. 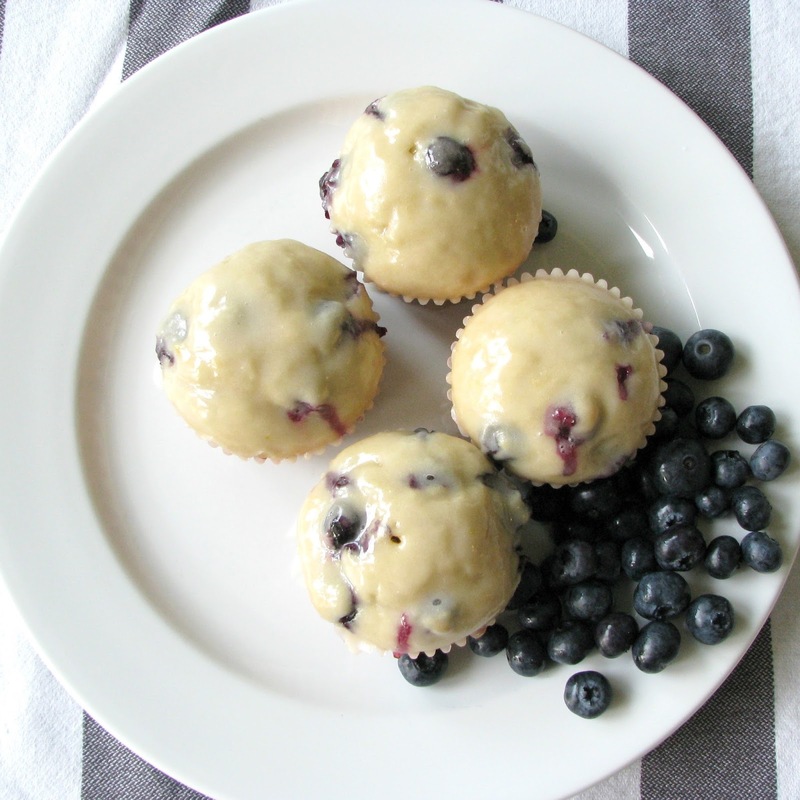 They are basically a dessert muffin, so they could be served at any time! Delicious! 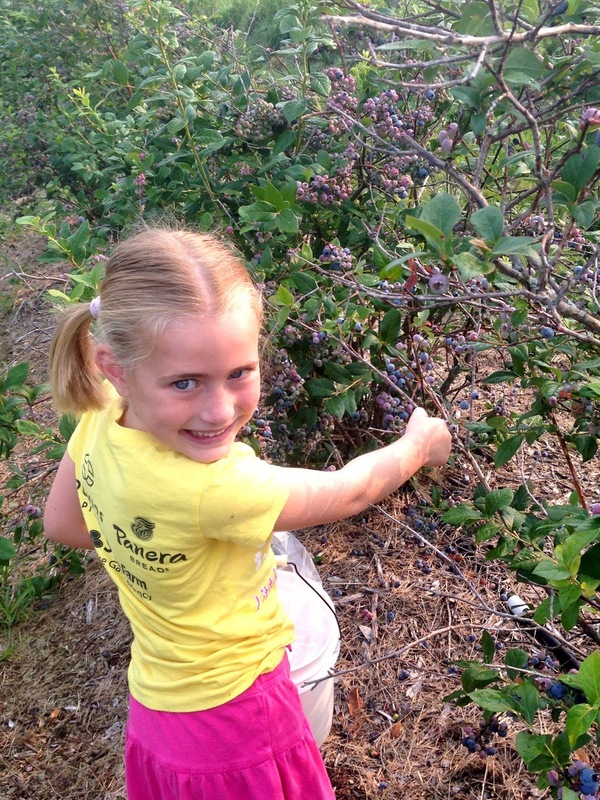 We gave a few to our friends that we went blueberry picking with. I also heated one up for breakfast this morning and it was just as good! These look delicious. Pinning this one! Visiting from Your Turn To Shine Link Party! You won't be disappointed Mary!! Thanks for stopping by! Glad to find your site. I came over on #InspirationMonday today. Your kids are precious and the muffins looks really good as well. We are on a low sugar diet in our home. I wonder how they would taste made with Splenda or Stevia? 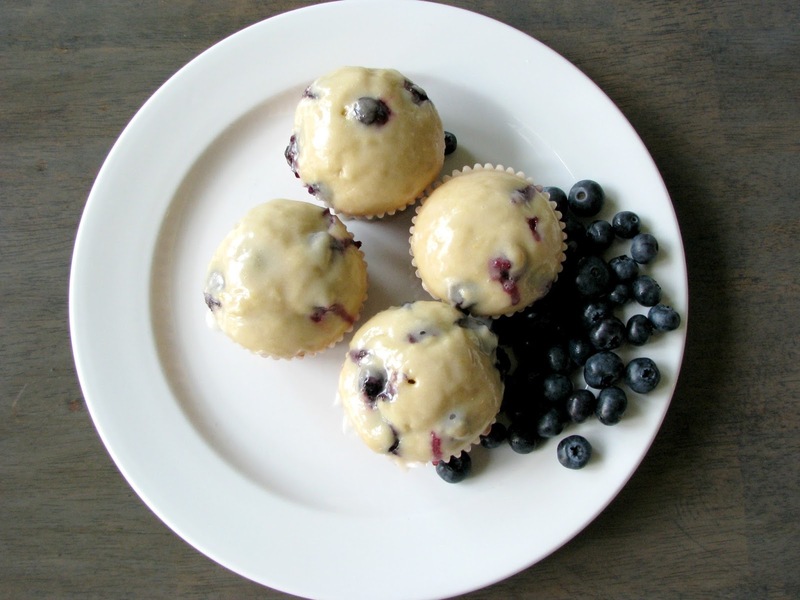 We have so many blueberries in our garden, I will have to make a batch of these! Thank you for linking up to the Merry Monday Link Party! I looooove blueberry muffins! I will definitely be giving this recipe a try! Thanks so much for sharing at Merry Monday! This is going to be one of my features this week. Hope to see you again tonight!